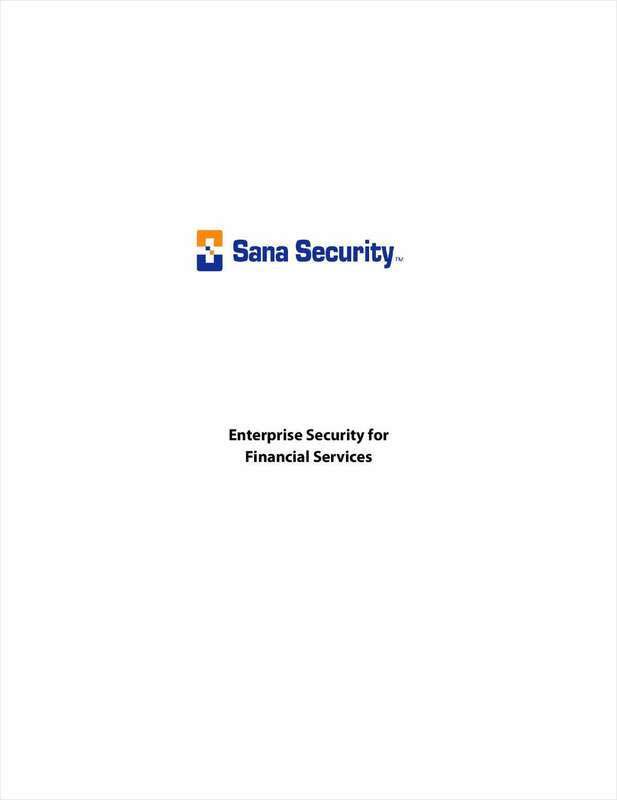 "Enterprise Security for Financial Services"
Free White Paper: "Enterprise Security for Financial Services"
As commerce moves online to realize cost-savings and efficiency gains, financial services become a target for attack. This paper discusses challenges your company is faced with due to federal regulations and how to protect customer data from theft. By submitting this content request, I have legitimate interest in the content and agree that Sana Security, their partners, and the creators of any other content I have selected may contact me regarding news, products, and services that may be of interest to me.